MOVE IN READY!!!! 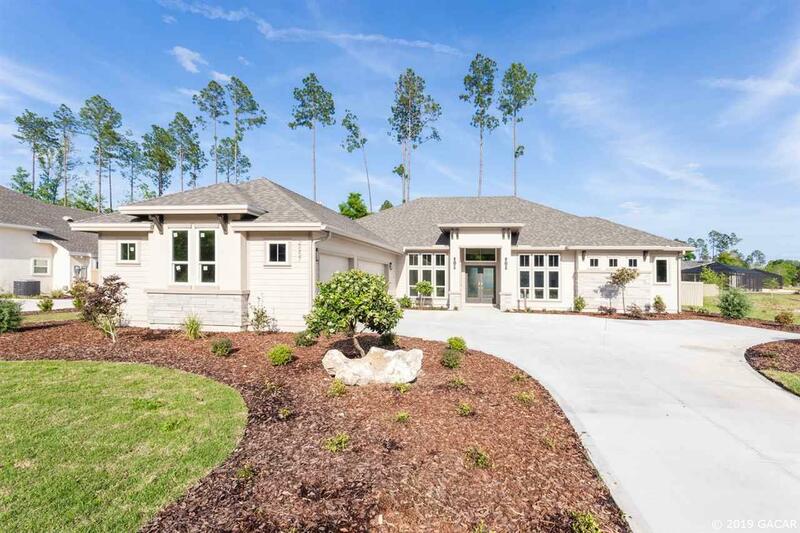 BRAND NEW versatile ONE story floor plan from Gainesville's premier custom builder Tommy Waters. Four Bedrooms PLUS Study with POOL and Fire Pit located on a premier lot that borders large common area/green space. 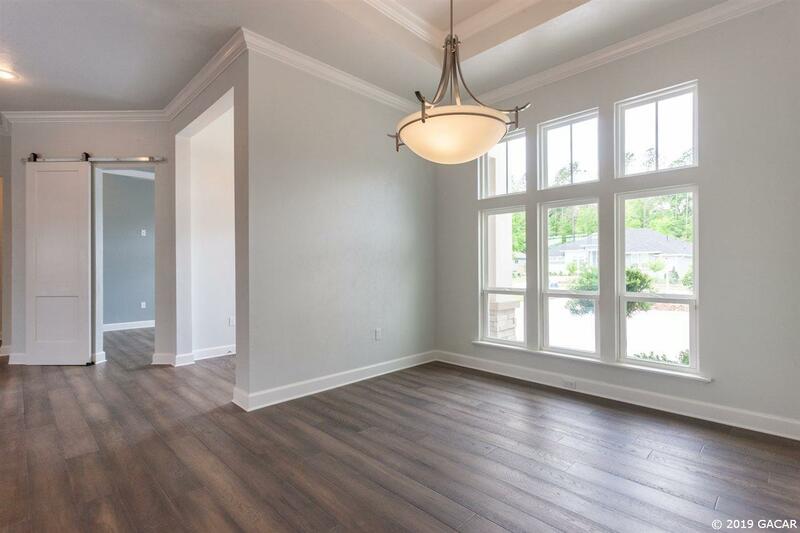 Armstrong wood flooring in living area, study, kitchen and dining room. Gorgeous custom designed chef's kitchen with center island, and a Thermador 30" gas cooktop and separate Wolf microwave built in oven. Custom white maple cabinetry with shaker style door, with two pots and pans drawer stacks in the kitchen. Kitchen features Quartz counters with island waterfall edge. 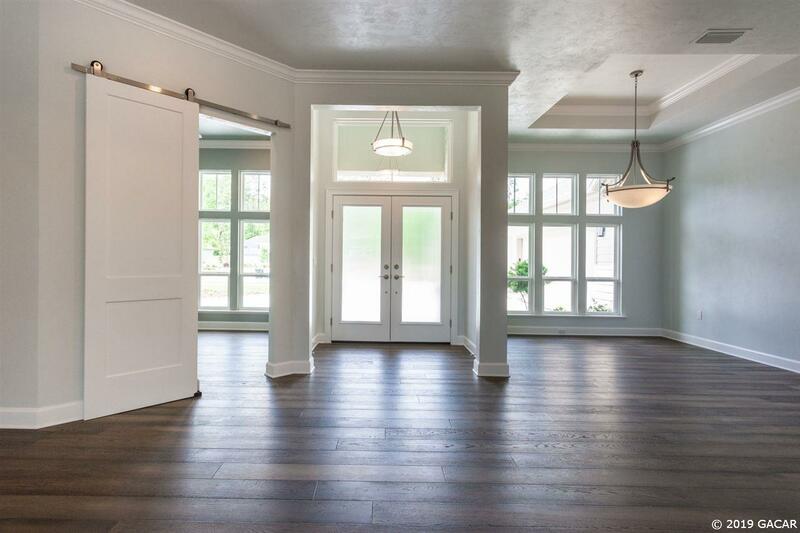 All baths, laundry room, and summer kitchen with granite counters. 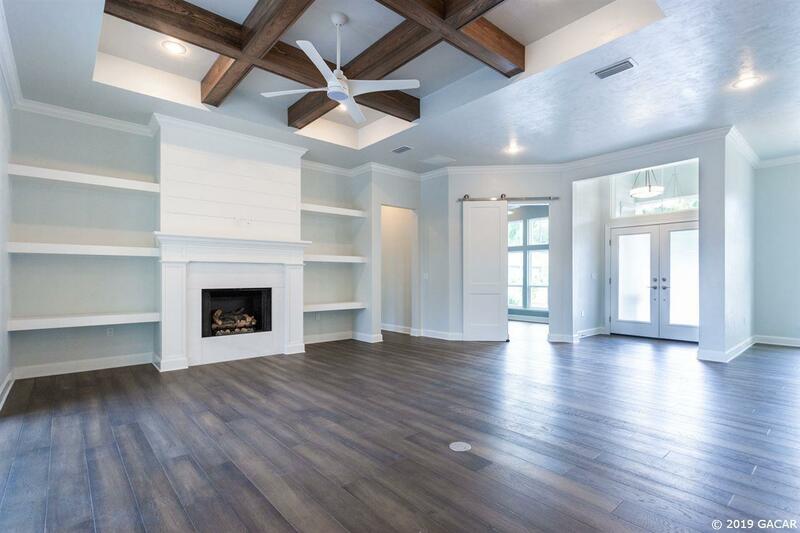 Family room with gas fireplace with porcelain tile face and stained wood beams ceiling detail. Master bath with slipper tub platform and dual vanities. Screen enclosed paver lanai featuring a salt generated pool and complete SUMMER KITCHEN PACKAGE with custom cabinets, grill & oven hood, sink and beverage cooler. Industry leading energy efficiency items: Carrier HVAC System with programmable zones, Low-E Ply Gem insulated double glazed windows, and two tankless Rinnai gas hot water heaters. Cell foam attic insulation for low energy bills. Attached 706 SF 3 car garage.